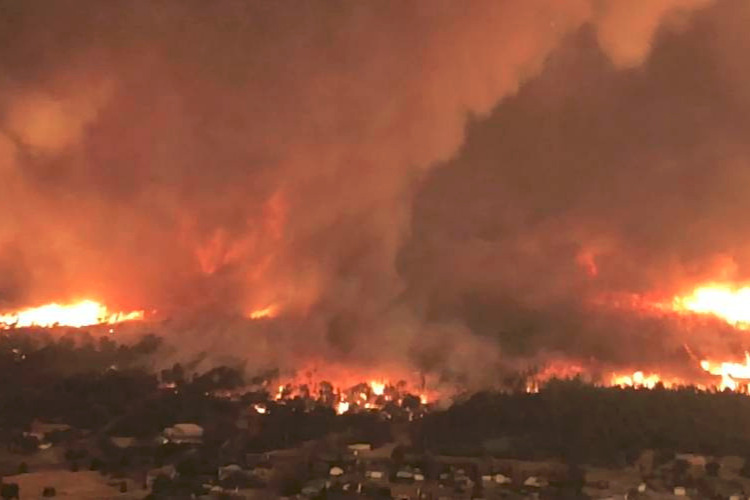 have lost our homes in the devastating Carr Fire in Redding CA. Thank you in advance for your support. It means the world to me. Sacramento River and quickly climbed the hill into our neighborhood. My housemate and I are still searching for our beloved dog, as the fire moved so fast, we could not get into the neighborhood to rescue him. My friends on Facebook have named him "Fur Baby"! I love that! pretty much starting from scratch to rebuild my life. Any financial help you can lend will be a godsend for me. A poem and post I made to Facebook today. First signs of my writers voice sprouted through the ashes today. 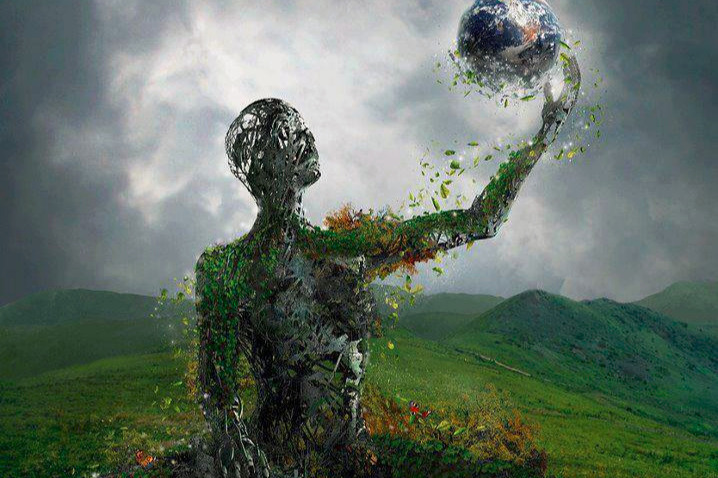 And this amazing photo I found, captures well the feeling of new growth emerging from the ashes. From Shema's Album "After the Fire"
I've decided to keep open my Crowd Funding page for a while longer. It's challenging living in a culture so outer focused on the 'Doing', when one is deeply in need of healing, which requires 'Being' and very tuned into 'feelings'. I'm committed to not suppress, not to spiritually by-pass, or in any other way, prevent my full healing and recovery from this deeply life changing event. The fireman mentioned below, Jeremy Stoke, was in our Land Park neighborhood, helping residents quickly getting trapped in the fire, to get out - when the fire tornado took him. Sending so many deep prayers to his family and all the First Responders. Here is an update on our dear dog. My heart aches to say he did not make it out of the fire. I have made an album on my Facebook time for him. And he was buried in a loving ceremony. It appears our home was quite near the center of the powerful fire tornado, that overtook our street and neighborhood with a fiery, powerful quickness, that firemen had never before witnessed. 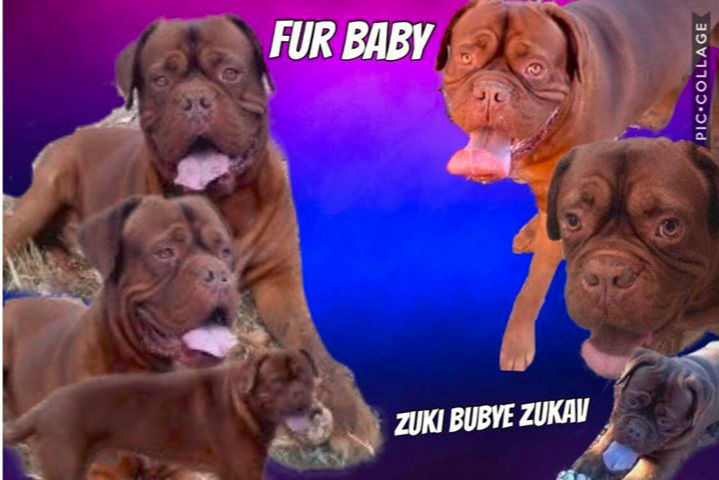 I was out of town, and my housemate was coming home from work, and was not allowed entry into the neighborhood, so unable to get to the house and rescue Zuki. Trapped residents were in traffic jams trying to get away from the fire, and no one was allowed entry in. It was more than 3 weeks before his body was uncovered in the rubble of ashes and metal. Fur Baby was found in his favorite shady location where he would hang out on hot afternoons. I am told he probably just went "to sleep" from being overcome with smoke inhalation. I so hope that is true and that he did not suffer, even for a moment. My deepest loving thanks to my FB family that has been praying for this cute guy and my beloved companion, and adopting his name as Fur Baby. Your thoughts, comments and prayers during this month of not knowing have been such a deep comfort for me, as grief has been constant during this time. For those who may have missed my recent update on Facebook (from August 30), I am sharing it here also. Friends, How to truly express the depth of my gratitude to all of you? 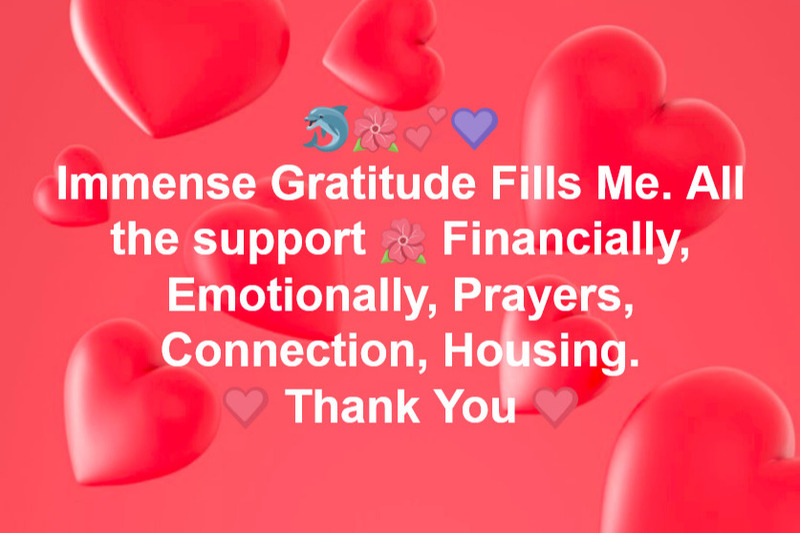 FB and beyond, all who have come together to support me, and the many Fire survivors, in so many ways, Financially, Emotionally, Prayers, Connection, Housing, all of it. Truly, I would be no way near the level of healing (and inner strength) I am at, without all the support - and I mean that sincerely, will all my heart. Please know, that every outreach, no matter how small, has added to the "field" that has kept me moving forward, and building resilience. I'm still finishing up in Redding, all the FEMA and related disaster resources to apply for and community healing to participate in. And then on to more gracious and generous housing brief stays, as I continue to "listen" as to where I am to next "land". <3 and what the next leg of this life journey will be. It stills feels like I have been radically shifted on core levels, that have not even begun to reveal what the shift will be. 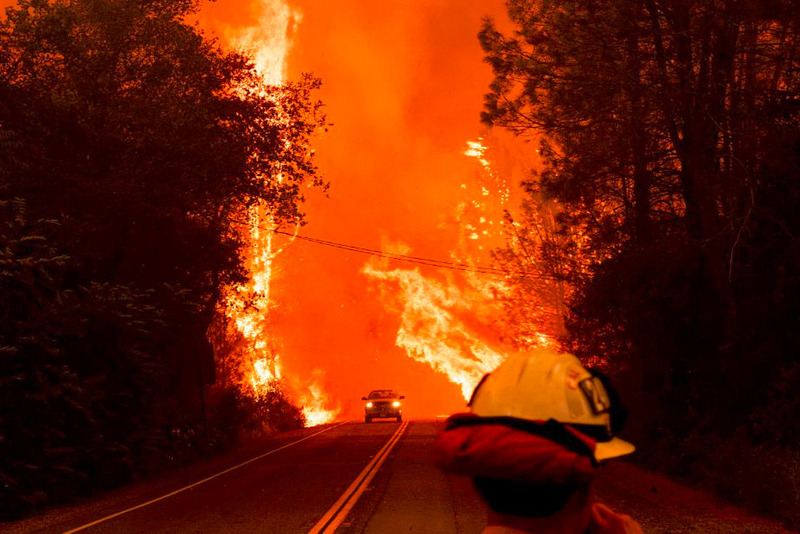 It's been a month since the fire tornado swept through Land Park and surrounding areas in Redding, and burnt to the ground many of our precious and dear homes, and where a very special and heroic fireman lost his life (more on that in the weeks to come).